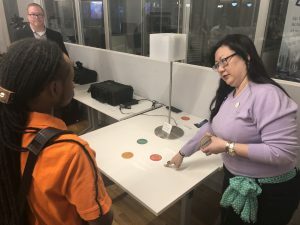 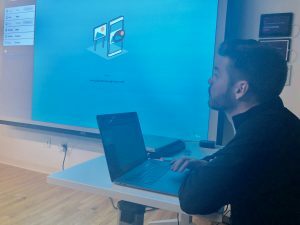 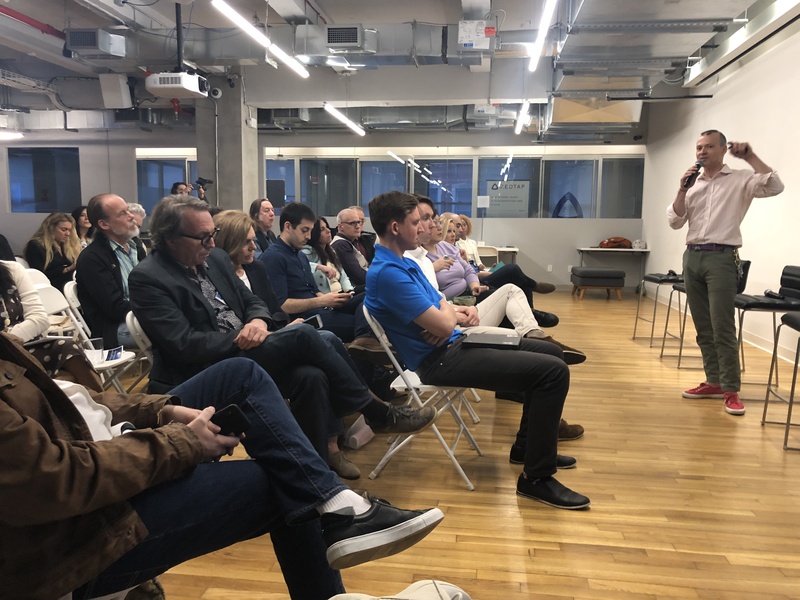 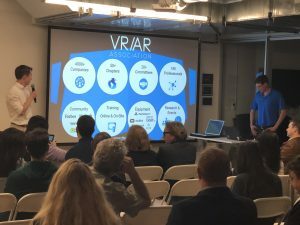 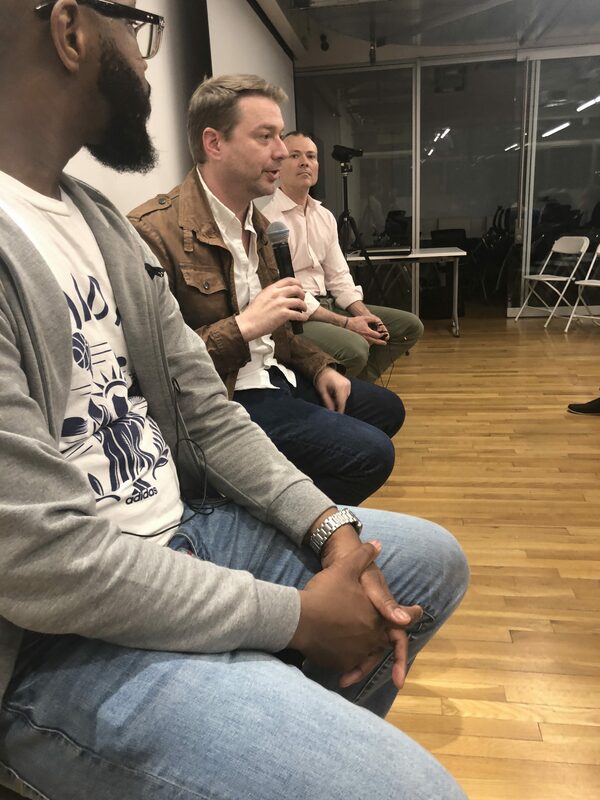 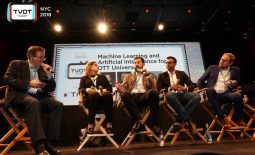 Some of New York’s leading AR technology developers attracted a crowd at The Alley, Verizon’s 5G collaborative lab and work space in Chelsea last Tuesday, May 8th, at an event sponsored by the VR/AR Association’s New York chapter. 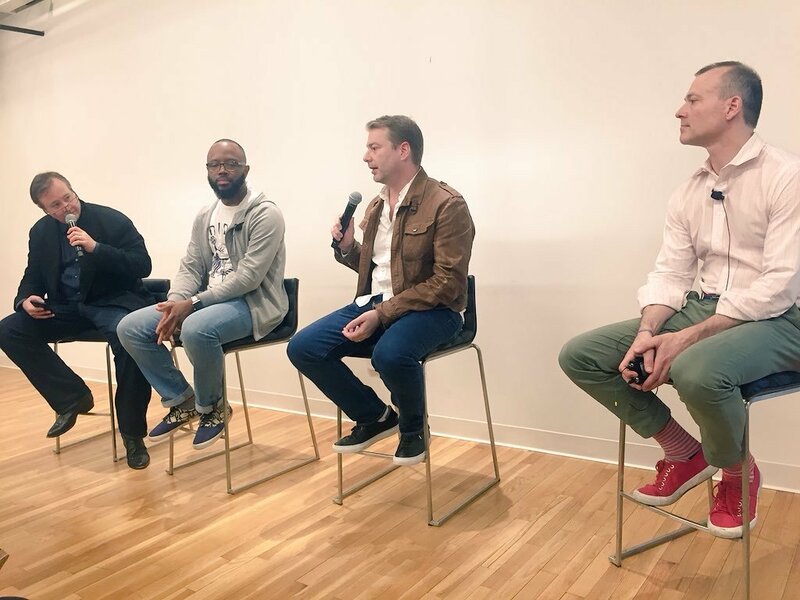 ‘AR for Producers: How to Engage Audiences on Multiple Platforms’ was well-titled, as most of the audience was comprised of new media and television producers who are looking at AR for a wide range of production elements, including fan engagement, 2nd-screen extensions, and location-based entertainment. Eric Schwertzel, head of business development for eyecandylab’s US presence, demonstrated the AugmenTV concept, in which TV content triggers experiences on mobile using an AR app. This is a long sought-after play, and should have traction in sports as well as episodic TV. 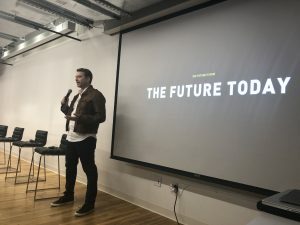 Gordon Meyer, head of marketing for Lampix, demonstrated the company’s projector-based AR solution, which is ideal for retail and public venue experiences. 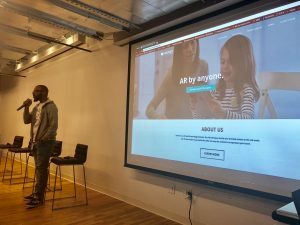 JR Dawkins, head of business development for Envrmnt by Verizon, showcased the Envrmnt AR Designer tool, the industry’s first true drag-and-drop AR tool. The simplicity of the tool enables anyone – with no coding experience – to create AR triggers on physical objects, and more. 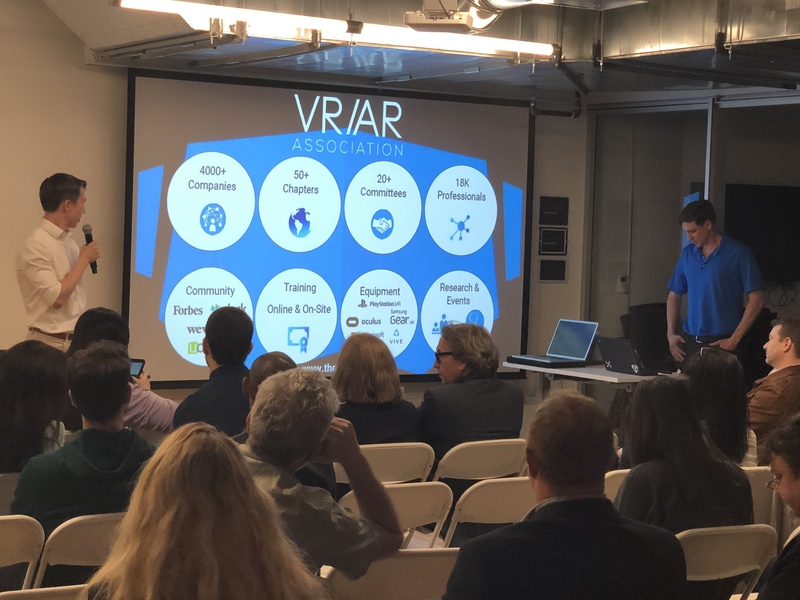 Far beyond what previous generations of AR solutions have provided, the presenters discussed the value that 5G will bring to AR, enabling seamless, low-latency experiences with greater connectivity levels. 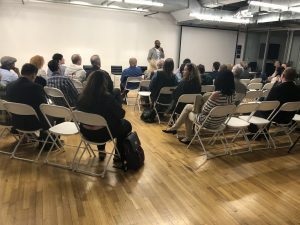 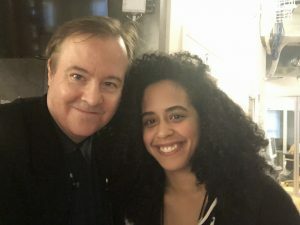 For many in the audience, it was their first time in The Alley, which opened last spring, and has gained a following among the technorati of the city.